A ranch vacation is the perfect treat for all the family this year, so if you were thinking of entertaining your young ones with a trip to Disneyland in 2013 you may want to reconsider. Here’s what makes a trip to a ranch so very special. Come and experience all the thrills of a ranching holiday this year and you’ll wonder why you didn’t go sooner. Choose from a Luxury Dude ranch, a Working ranch or a Family ranch and indulge yourself in the numerous opportunities a ranch vacation has to offer. Many families are fooled into thinking that a trip to Disneyland is the best option for their children but if you consider the pros and cons below, no doubt you’ll agree a ranch has everything to offer each family member and it’s a much healthier choice for everyone, too. A week’s trip to Disneyland will set you back in the region of $1,900 per person including flight, hotel accommodation and park entry. Be warned that hotels vary in standard and with so many guests being catered for, hygiene can be far from acceptable. As well as your initial holiday cost, you’ll need plenty of spending money because Disneyland is one big shopping temptation for children, and the array of fast food on offer doesn’t come cheap either. While a ranching holiday will cost you that bit more (in the region of $300 per night, although this can vary greatly depending on the ranch and time of year), you will most certainly get what you pay for. The initial cost of your trip usually covers everything, so once you’ve paid you can relax without worrying about any hidden extra costs.The activities available at ranches are endless, so shop around to see what suits you best. 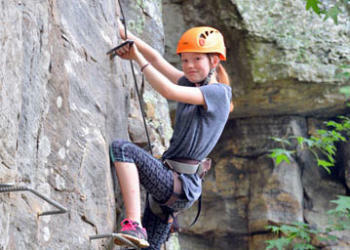 For adults, there’s riding, of course, white water rafting and other water sports, fishing, golf, spas, tennis, yoga, mountain biking, climbing and much more. Younger travellers can take advantage of the children’s programs on offer – supervised activities which allow children to immerse themselves in the day to day running of ranch life or learn how to care for a pony days and weeks, too. While Disneyland provides plenty of entertainment for children, it’s difficult to eat well. Pizza, burgers, chips and other fast food is widely available, but there’s a severe lack of fresh, healthy food on offer and when you do order, the cost is exorbitant. Then there’s the ride queuing time to consider (often more than an hour). With so much time standing around, children can easily become bored and a lack of exercise (combined with all those e numbers) can leave them hyperactive even at the end of a long day. Disneyland is packed out during the holiday season, so expect long lines, poor air quality and substandard restroom facilities. If there’s one thing a ranch can promise it’s top quality food. Much of the produce is sourced on the ranch and the food will be fresh, tasty and healthy. With so much to do, the whole family can benefit from plenty of exercise if they wish and all the fresh air and outdoor activities will leave children waiting for their beds at the end of the day. For adults seeking a more relaxing vacation, choose a ranch where your children can get involved in the organised programs while you sit by the pool and enjoy a stress-free day in the open fresh air. Limited guests and so much open space will guarantee you a good night’s sleep and plenty of ‘you’ time. If you do opt for Disneyland then be sure to hang on to your little ones, because turn your back for a minute and they may be gone. Disneyland can be a stressful and rather scary place for parents, so be prepared for all the noise as parents shout to their children to stay close and not run off. At a ranch, on the other hand, your children can run free in a safe environment – whether you’re with them or not. Whether it’s a Dude ranch with an organised children’s program or one that is simply family friendly, your young ones will be able to indulge in the ranch’s activities safely and securely. With so much space and so few people, they’ll be able to run to their heart’s content as they take in all that fresh air and finally experience true freedom – something that many children never get to do. While Disney is a magical place, it’s most definitely not somewhere to go to relax and unwind. The crowds of people, long queues, screaming children and extra spending money all take their toll on parents, creating stress and worry. Bored children waiting in long queues are not always the best behaved, so prepare to contend with children having fits as they wait and wait – sometimes up to an hour and a half – for their ten minutes of fun. What better way to learn new experiences than in a fun way on holiday? Sadly, Disneyland may offer fun, but the only thing a family will learn on a trip is which rides to queue up for again and which to avoid. Meeting Disney’s characters – Mickey Mouse and the likes – is the best education your children will get on this vacation. While a holiday is generally somewhere to escape from education, learning new skills in a fun way is something a ranch can promise anyone, no matter what age. 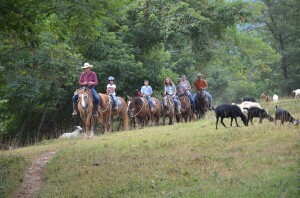 Learn all about the life of a modern day cowboy and take part in real-life cattle drives. 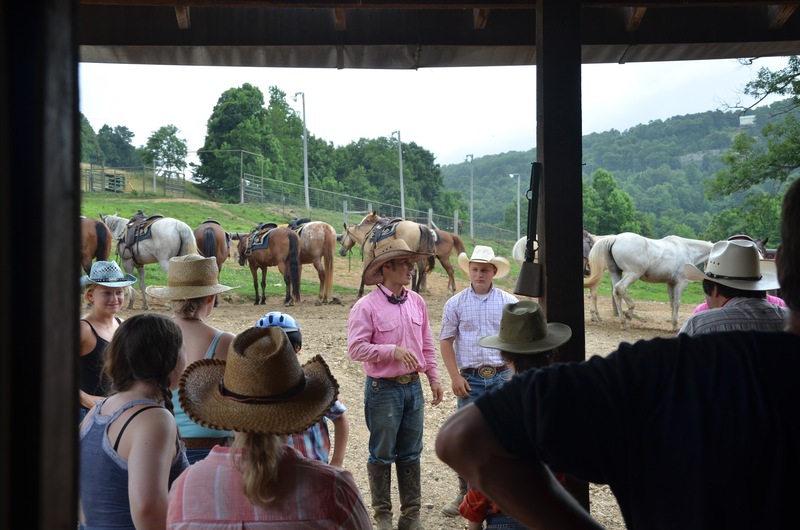 Or why not take advantage of a Natural Horsemanship clinic where you will learn to handle horses in a truly professional way? Your children will also learn about the basics of life and be submersed into positive values as well. Disneyland – crowds of people, stress, poor-quality food, extra spending money required, the worry of losing children, long queues for ten minutes of fun, substandard air quality, varied hotel standards, grubby restrooms. Ranch – relaxation, rest, security, no hidden extras, no queues, a wide range of activities, healthy, home grown food, space, comfortable accommodation, good air quality.